CareCredit, from Synchrony, has been helping patients access care for more than 30 years. 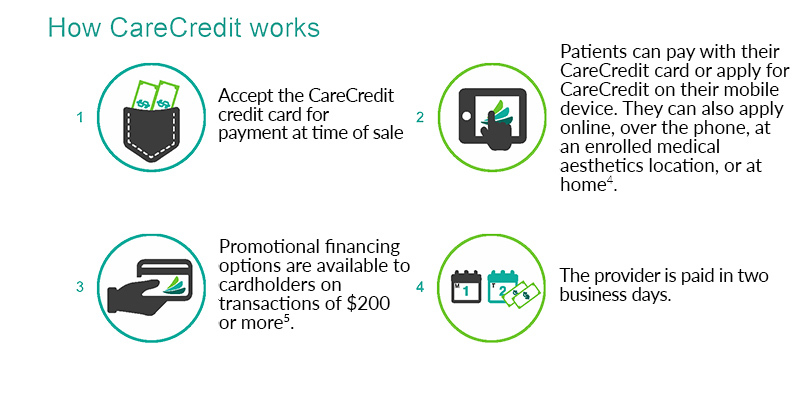 CareCredit’s health, wellness and beauty credit card offers promotional financing options to help your guests fit the treatments and procedures they want into their monthly budget2. Enroll with CareCredit to receive 20% off promotional financing merchant fees1 when guests use their CareCredit credit card. CareCredit has 11+ million cardholders with $35 billion in available credit, which could help you attract visitors and expand your client base. 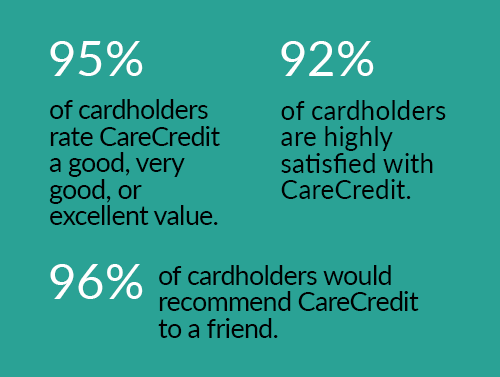 Become part of the CareCredit provider network website, which receives on average 1+ million searches per month3 by card holders looking for treatment providers in their area. Gain access to an ad toolkit with pre-made promos and disclosure language which can be used in print or digital promotions. Benefit from CareCredit marketing to existing CareCredit cardholders. Use CareCredit provider tools to drive patient engagement. CareCredit allows patients to pay for procedures over time while avoiding accruing interest as long as they make their payments on time and pay the full amount before the promotional period ends. This simple calculator shows consumers what their payment options would be. From laser treatments, spa services, peels and injectables to surgery, we help you help guests achieve their dreams. For more information about CareCredit, call 800-300-3046 or visit carecredit.com. 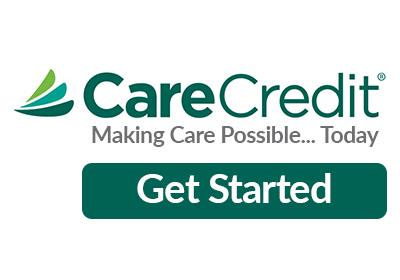 Get Started With CareCredit Today! 3September 2018 Omniture web report. 4Must be 18 to apply. Must be 21 to apply by phone. 5Subject to credit approval. Minimum monthly payments required. See CareCredit.com for details. REJUV AVE. Skin Spa, Fenton, Mich.
— Lily Nizam, OMFS & Cosmetic Surgery P.A. Alabama Surgical Arts, Montgomery, Ala.